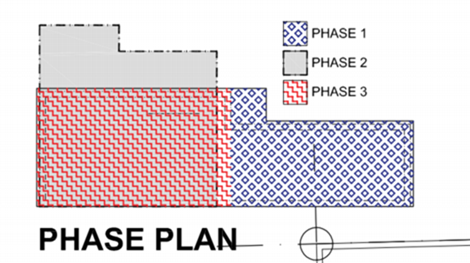 Selcrete™, in partnership with Sphandile Trading Enterprise has bid to secure a tender to build 100 000 residential and commercial units in the City of Ekurhuleni Municipality on the East Rand of Gauteng over the next three years. 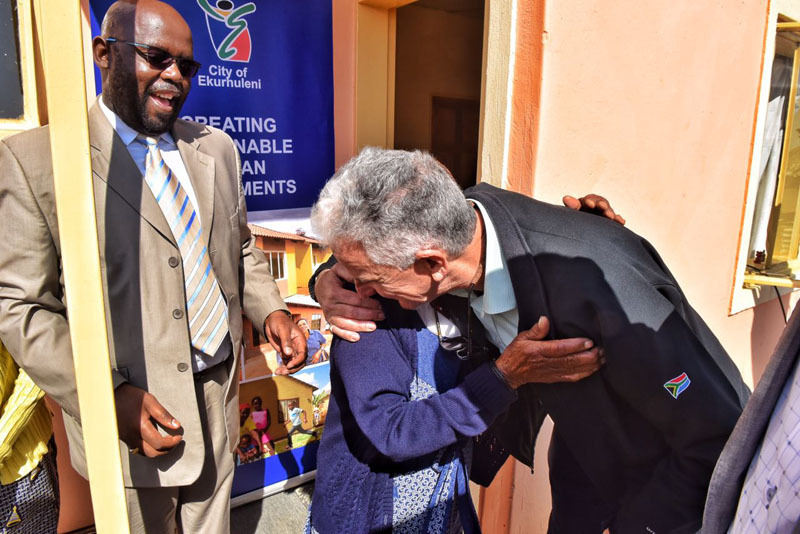 A demo unit utilising Selcrete™’s innovative building technology was handed over to a previously indigent Ekurhuleni resident today. Designed by CMAI Architects and built using Selcrete™’s innovative panel system – comprised of their trademarked combination of cement, polystyrene and additive – using a technique proven in Scandinavia and northern Europe, provides homes with a lower risk to fire, three to four times better insulation than traditional bricks during winter and summer and is a lot more environmentally friendly. Selcrete™ blocks and panels are light weight, can be produced on site and are quick to assemble, offering this and future houses and buildings the advantage of being built faster. 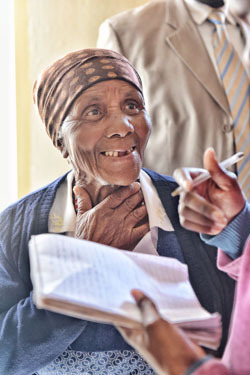 The new home belongs to proud 90 year old Gogo Khumalo. 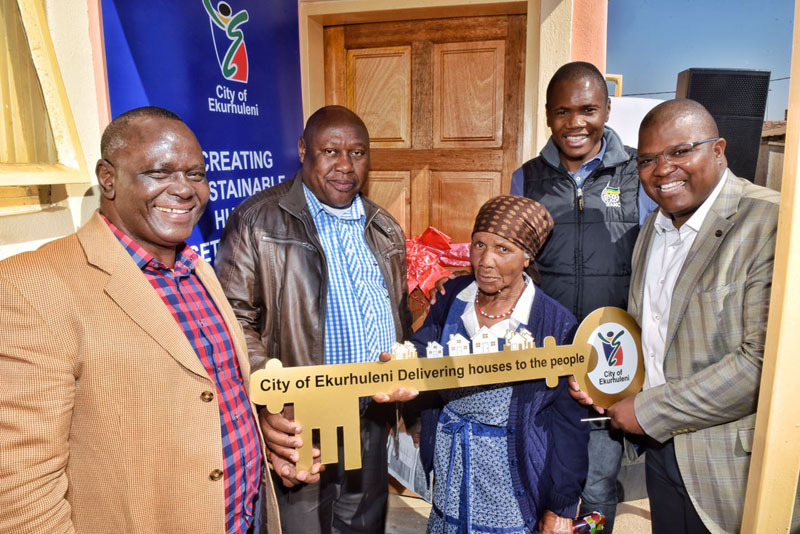 Her former home in the township of Kwa Thema in Ekurhuleni, was identified as needing urgent construction during a site visit to the area earlier this year by Chief Whip of the of the City of Ekurhuleni. The new home consists of two bedrooms; a lounge/dining room; one bathroom with a toilet, shower and basin; and a kitchen. The entire house totals 44.14 square meters. Construction took place in three phases over approximately three weeks. Phase one consisted of the construction of the new bathroom and bedroom. 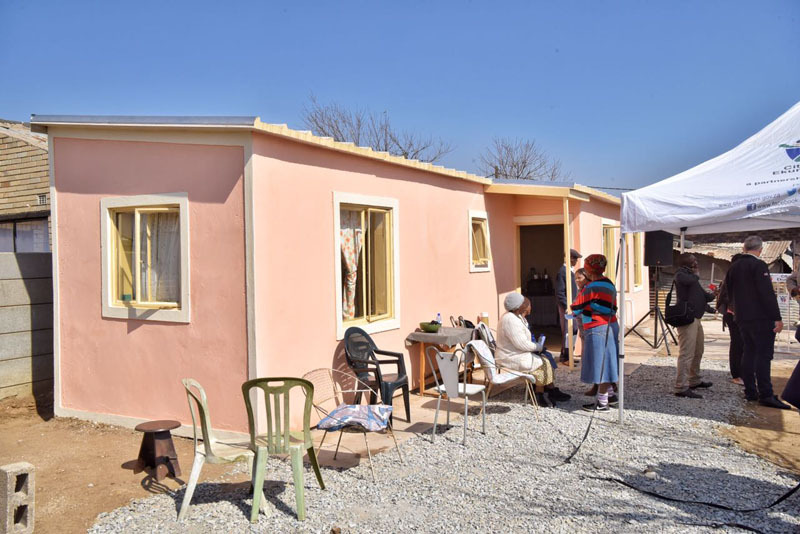 Phase two took care of the demolition and disposal of Gogo Khumalo’s existing shack, during which she moved into the first phase’s completed structure. Phase three completed the balance of the new home. 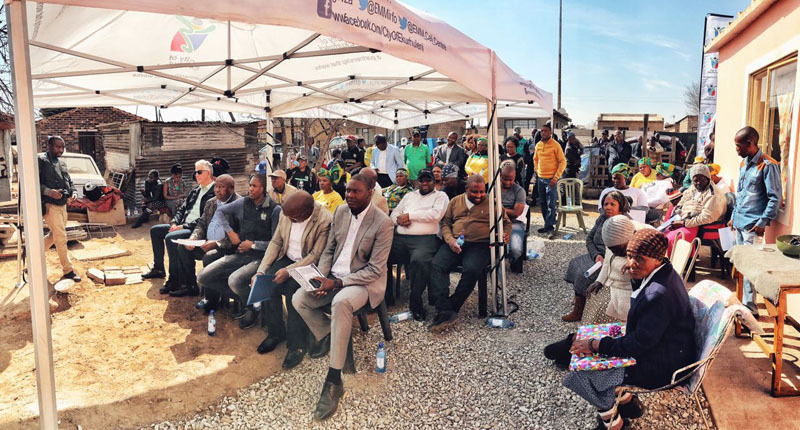 After the successful construction of phase one of the Noluthando Day Care Centre in Khayelitsha Cape Town in 2016, Selcrete™ set out to introduce the product to other municipalities across South Africa. 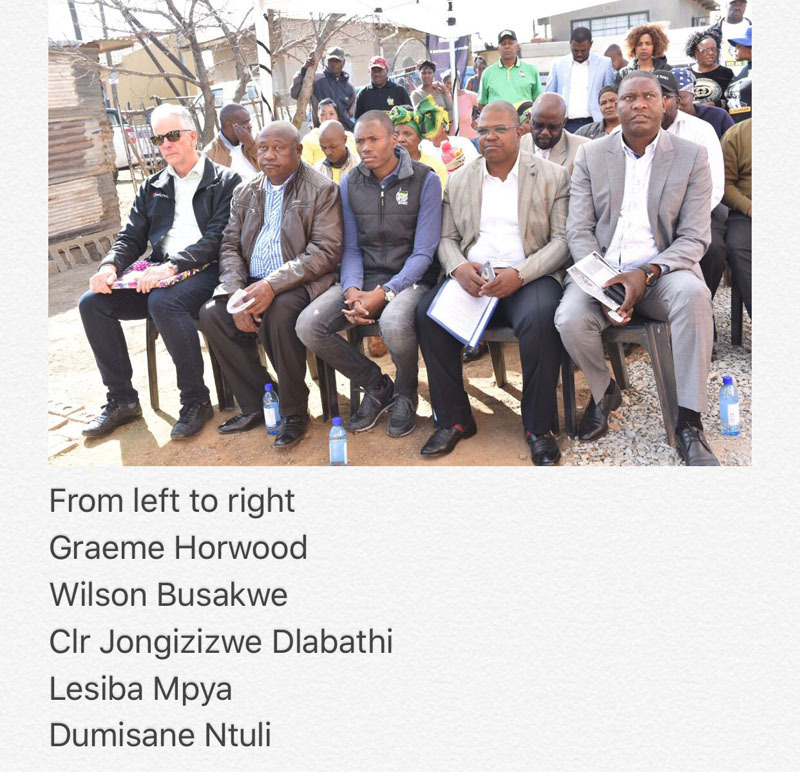 Should Selcrete™ and Sphandile Trading Enterprise be awarded this tender it will mean great things for solving South Africa’s housing crisis. “The current rollout is costing government more to remedy than the initial CAPEX cost of poorly constructed RDP homes. Figures in certain areas are estimated to be up to two to three times the original build cost. Selcrete™ is fully Agrément SA certified and approved, offering a better more affordable and greener solution to easing the housing backlog” says Graeme Horwood, CEO of Selcrete™. Selcrete™ are currently in advanced discussions with Ekurhuleni, Knysna and the City of Cape Town. Further to this, the product has been introduced to Eastern Cape and KZN municipalities and negotiations with other SADC countries are underway. Selcrete™ Building System is inspired by techniques used in Norway. Selcrete™ is a greener product compared to most others, for instance due to the use of recycled polystyrene. The blocks and panels can be made on site, and don’t have to be transported which saves energy and minimises carbon emissions. It provides better insulation meaning there is less energy needed for heating and cooling therefore lower electricity costs. Press release drafted by Gwen Sparks, Enhance PR on behalf of Selcrete™. For more information about this press release, for interviews, photographs, quotes, please call Gwen on 083 443 0019.